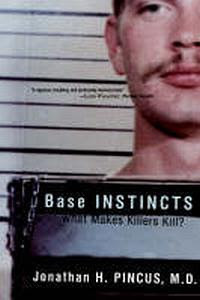 True Crime Book Reviews: Base Instincts:What Makes Killers Kill? by Jonathan H Pincus M.D. Base Instincts:What Makes Killers Kill? by Jonathan H Pincus M.D. Neurologist, Dr Jonathan Pincus examined and probed into the family and medical history of numerous serial killers and other violent criminals to analyze what creates and triggers the violent instinct. He discovered that virtually all suffered severe abuse as a child, as well as brain damage and mental illness. In these terrifying stories Pincus concludes that violent criminal behaviour is the product of a dysfunctional brain coupled with an abusive environment. focusing on these critical factors, how can we prevent the development of potentially violent persons from a young age before the damage becomes irreversable? And how do we evaluate the chances of rehabilitation? I was watching a Dr Phil program called "I Survived" and as usual started crying.My ever so observant daughter then took the time to point out the following "I know you cry when the people die but these people survived,Mom.Do you just cry all the time?.I included the above to try and explain my reaction to this book.I cried for these men on death row,not for the men that they became but for the innocent child that they were once,that through the hardship they suffered in their lives that caused them to become the monsters that they are.I know that all babies are born perfect and absolutely innocent.That children if brought up with love and security all grow up to be productive members of society.I cry for the adults that they could have been if they had been lucky enough to have good parents.I am not sure that I have mentioned this but I am a strong believer that nurture has more of a basis in the making of a criminal than nature does.But I will highlight my reasons in the review of Base Instincts which follows after this. Dr Jonathan Pincus presents the argument that a combination of frontal lobe damage(nature) and abuse as a child(nurture) results in some extreme cases in the making of a killer.His analysis is based on tests and interviews he conducted with over 150 men on death row.While I fully agree with the results of his studies I still stand firmly on my "nurture" stance.As I was reading I already had an e mail in mind to send with some questions I had.Fortunately my questions were answered later on in the book.While he argues that these killers are born with frontal lobe damage to the brain or caused in an accident(nature) as a basis,my opinion is that some of this frontal lobe damage is created as a result of the abuse that a child suffers.With such emotional and mental (not physical) trauma on a developing brain I believe that it can alter the dynamics of that young brain.The writer then mentions,in answer to what I just mentioned,that there is a group of people who also believe that,but that this argument is still in its infancy,and tests and studies are still being conducted.So I will wait for those results but I am convinced of that.My argument was further cemented with facts provided by Dr Jonathan Pincus on how the brain develops.The reaction to impulsion is only developed fully at age 25 and physically, brain plates only join completely by age 30. So while I do not disagree with Jonathan Pincus on his theory we do disagree on where the frontal lobe damage originates from.His opinion is that it is either genetic or caused by an accident which places it under the "nature" option while I allocate frontal lobe damage purely to the "nurture" theory.That being said this was an extremely interesting book which answered so many questions I had.I have always wanted to get into the mind of a serial killer and even considered corresponding with some at one stage(to the utter horror of family members)but this book puts paid to that. This book Base Instincts offers in each chapter a different scenario of how a certain killer reached his point of no return.The writer explores how he initially met each killer and how this information was coaxed out of him.For the cynical out there.please know that not a single one of those killers admitted to being abused(out of loyalty to their parent or caregiver).This information was gained from family,friends and medical records. Also note that Jonathan Pincus does not include in his study men who killed for gain or had obvious motives.The killers who were in his study had crimes which all fell under the "senseless" motive.As far as the writer is concerned killers like Scott Peterson just boggle the mind but I am sure and hope that these types of killers will be made sense of in another book. I could detail each chapter with the emphasis of each crime and study but that would really be a spoiler.Suffice to say that every angle is explored deeply with results and tests which are all explained in laymen's terms.I would absolutely recommend this book to everyone who has ever been interested in the science of the mind.One word of caution,the abuse that these criminals endured as children is described in detail.Some of the details were extremely upsetting as not in my worst nightmares have I encountered what these children went through.After I read this book I am not so firmly convinced of the death penalty but I do still strongly believe that once you have committed murder you are to go to jail for the rest of your life.No possiblity of parole.I have read too many books where serial killers have stated that only the first murder is difficult.It gets easier with practice.We definitely do not need people on the streets who have already gotten a taste of this. 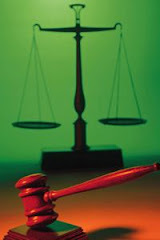 I have also always believed that there should be no statute of limitations on child abuse.After you read this book you will come to realise that walking on the streets with us,in absolute freedom,are people who have created serial killer,and yet have never been made to account and pay for their crimes against children,and ultimately the subsequent murder of people,albeit indirectly. I give this book the maximum number of stars available on any rating system. If you would like to read this book then the links are below.Kalahari Books link is for South Africa only and the Amazon link can also be used to access other readers' reviews on this same book. Here are some more details on this book Base Instincts:What Makes Killers Kill? What a sad study. I would probably cry too much to be able to read this. I feel like you. I hate that adults get away with abusing their children and just get to live out their lives untouched, while the child suffers all his life. Sharon thanks for the heads up on the review.Maybe we should start a group on facebook where we fight for the end of a statute of limitations on child abuse? I think that this crime specifically is so hidden and yet has such dangerous consequences not only to the abused child but to the children they have later on.